The Pentax K-S1 is a DSLR camera with a difference, one that tries to infuse some of the lifestyle flavour we see more commonly in compact cameras and, to a lesser extent, mirrorless Compact System Cameras (CSCs). You can to choose between loads of colour combinations besides boring old black, its shape is a little unusual, and that parts of the camera light-up during operation. The solid camera and large lens library make it a sound DSLR camera choice. 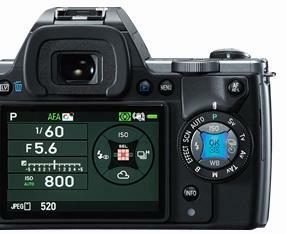 Its 20.4-megapixel APS-C sized CMOS sensor produces great images. Advanced functions capture light with complete freedom for a satisfying shot. The light interface "Indicator Lamps" intuitively guides operations. Prepare yourself for a new style of expression where you can hold light in your hand. Intelligent functions capture light with complete freedom for a satisfying shot. The light interface "Indicator Lamps" intuitively guide operations. 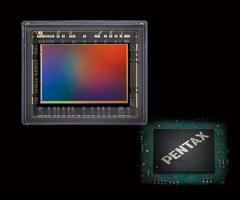 The low-pass filterless design maximises resolution from the CMOS image sensor. 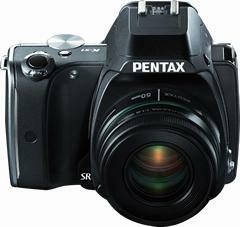 This model is also equipped with the Pentax-original Anti-Aliasing Filter Simulator function which reduces moir that occurs due to tiny drive operations of the sensor. Two merits are obtained from this one unit. *Sufficient effects are obtained when shooting at shutter speeds slower than 1/1000 sec. Also, this function cannot be used when taking "HDR" photos. The Indicator Lamps use LED to display camera status. This use of light provides intuitive camera control. The design floats like a light display for a sense of presence. Grip: The 5 lights in a line display a countdown for Face Detection, Remote Control, and Self-timer. Mode dial: The currently set mode appears in green. 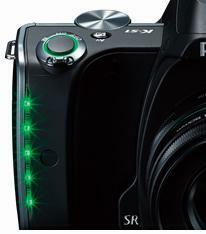 When shutter release is available, the OK button is lit in blue. 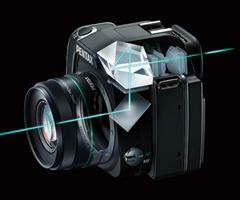 With the CMOS image sensor and Prime M II image processor, high sensitivity of ISO 51200 is achieved. This feature shows its true ability when shooting in dark scenes that were not possible with previous cameras. A GUI design is used so setting content for each function can be understood at a glance. Moving explanations and easy-to-understand displays make controls easier. A glass prism finder is used with the same specs as those found on Pentax high end cameras. With the large, easy to use viewfinder with an approximate 100% field of view and approximate 0.95x* magnification (viewfinder magnification), focusing and composing shots are easier, letting you focus on the subject. The main body unit portrays a sharp and feel, whereas the light path that contains the traditional pentaprism is very much like an authentic SLR. By combining two differing shapes into a fusion design, a compact, lightweight camera that fits in the palm of the hand is created. 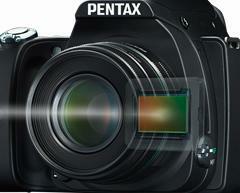 These Pentax K-S1 Digital SLR cameras are brand new, in retail box, 2 years warranty.